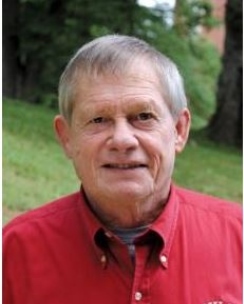 James Weldon Morgan passed away Friday morning, January 18, 2019 in Chattanooga, TN. He was a Chattanooga native, born on January 24, 1938 and would have turned 81 years old this week. Jim was preceded in death by his father and mother Tyler and Dorothy Morgan, his beloved wife Martha “Sis” Morgan, his son James David Morgan, and brother William P. Morgan (Joyce). Jim is survived by his son Christopher Morgan (Casey Campbell), his daughter-in-law Stephanie Morgan, his grandsons Stephen Morgan and Campbell Norton, his brothers Robin Morgan and Tyler Morgan, sister Gil Morgan, his nieces Angela Morgan, Amy Ratledge and nephews Ty Morgan, Paul Ratledge, and Michael and Gregory Jones. A memorial service for Coach Jim Morgan will be held Sunday, January 27, in Baylor Alumni Chapel at 2 pm with a reception to follow.